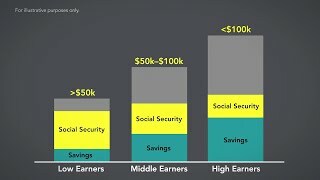 One of the most frequent conversations I have with pre-retirees is about how much income they will need in retirement. Its interesting to observe the wide variety of responses - most of which assume they will need the same amount in retirement as they made pre-retirement. For a number of reasons, this is not accurate for the vast majority of retirees. Watch the video below to get a feel for what you will likely need to keep the same lifestyle during retirement.